The aquamarine gemstone is the mordern march birthstone, as well as the zodiac birthstone for scorpio and secondary birthstone of pisces. The aquamarine gemstone is also the designated gemstone for the 16th and 19th wedding anniversary. This beautiful poem best describes march . And wear a aquamarine to their grave. The march birthstone aquamarine means wisdom , love and affection. Aquamarine is named after the latin words "aqua" meaning water and "marina" meaning sea. It was so named because it reflected the color of sea water. Quite a hard mineral, aquamarine belongs to the beryl family, like the emerald. 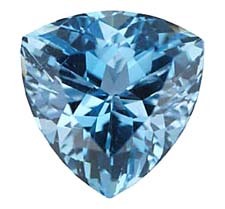 Aquamarines, like other gemstones are graded by color, clarity, cut and weight. Aquamarine varies in color from blue-green to a light sea blue. Aquamarines are classy, elegant and beautiful and the most wonderful thing about them is that they are virtually free of any eye-visible inclusions. 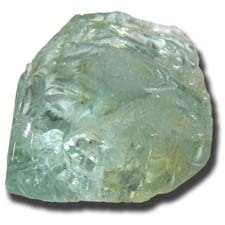 Aquamarine comes in a wide range of blue-green to light sky blue color when mined. due to traces of iron . The stones containing the green tones are often heat treated to remove the green tones. Basically the color of a aquamarine is divided into three components. : Meaning the first impression of the color of the gemstone. : Meaning the brightness or intensity of the hue. : Meaning the lightness or darkness of the hue or color measured from light to medium to dark. Aquamarines help in easing physical or emotional pain, . especially the pain of grief. They keep the wearer healthy, free of sickness and help with digestive problems. Aquamarines helps in matrimonial problems, to rekindle romance and bring trust and harmony into relationships. According to a legend , aquamarine is a sailor's lucky stone, it keeps them safe and prevents seasickness. Aquamarine gemstones have also been believed to hold many mystical powers related to water. It was thought to be able to purify water and grant it special healing powers. Though aquamarines are mined in many countries in Asia, Africa , America and Russia, by far the best aquamarines are found in only two countries; Brazil & Mozambique. "Santa Maria", is the name given to the magnificent intense blue aquamarine from the santa maria de itabira mine in Brazil, by far one of the best in the world. Similiar stones come from some of the mines in Mozambique as well. To help differentiate them from the brazilian ones these aquamarines have been given the name of "Santa Maria Africana". The alternative or mystical march birthstone is the jade gemstone while the ayurvedic march and traditional birthstone being the bloodstone.